DESIGN TIP: For a minimalist and modern look have no monogram or motif and white envelopes. Keep the matching stationery simple and just typed. Invite samples shown printed in slate grey ink with kraft envelope. 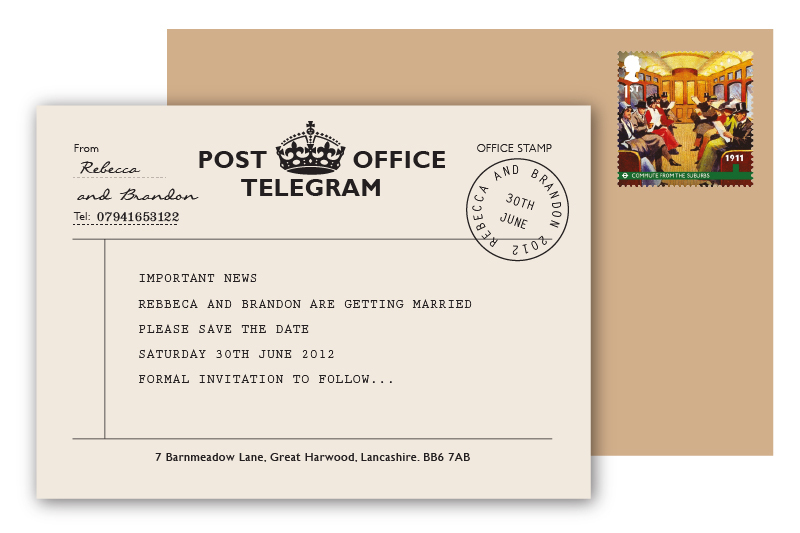 RSVP telegram printed on off white 320g luxury recycled stock with a distinctive fleck for a vintage feel.